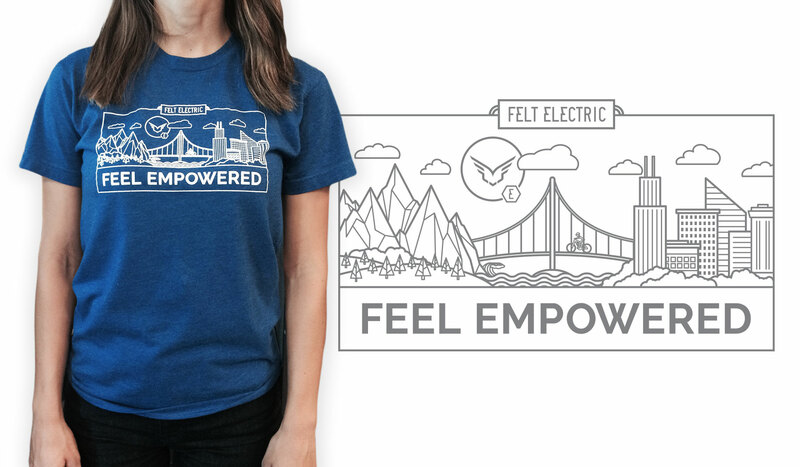 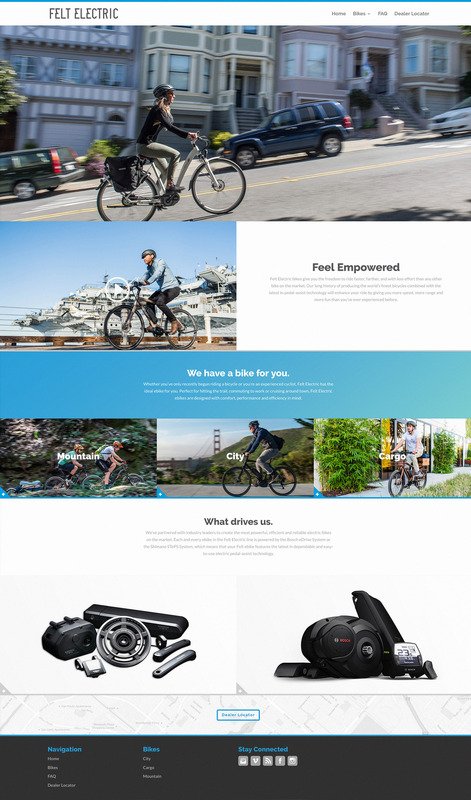 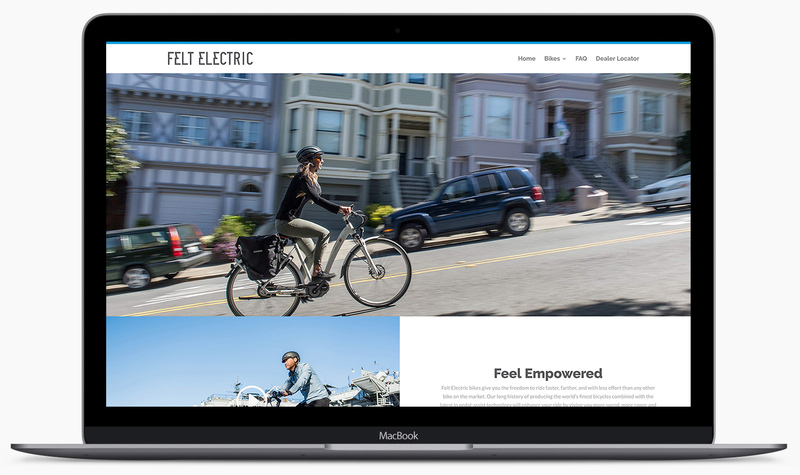 Utilizing the tagline “Feel Empowered,” Felt Electric pushes to inspire cyclists to step beyond their limits. 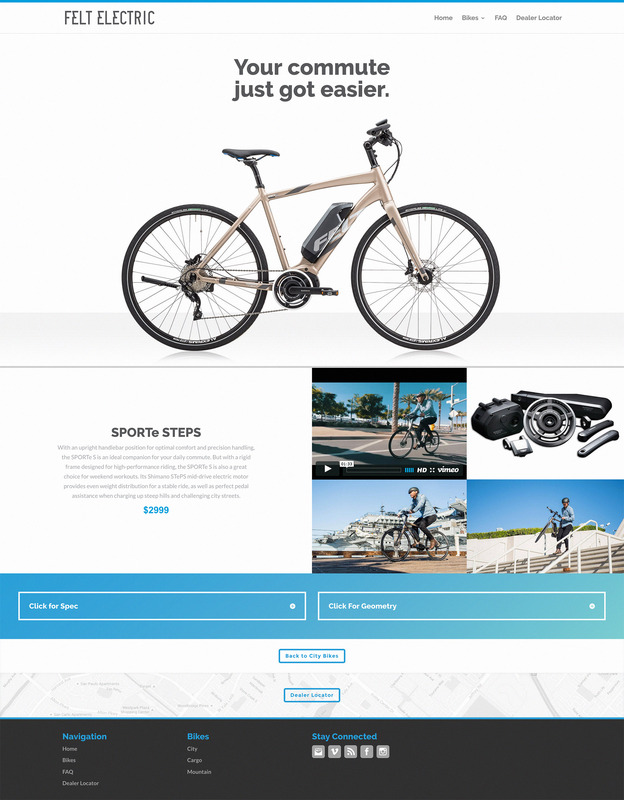 This is achieved by showing the benefits of bike riding through vivid storytelling and real-word scenarios, rather than focusing on the technical features. 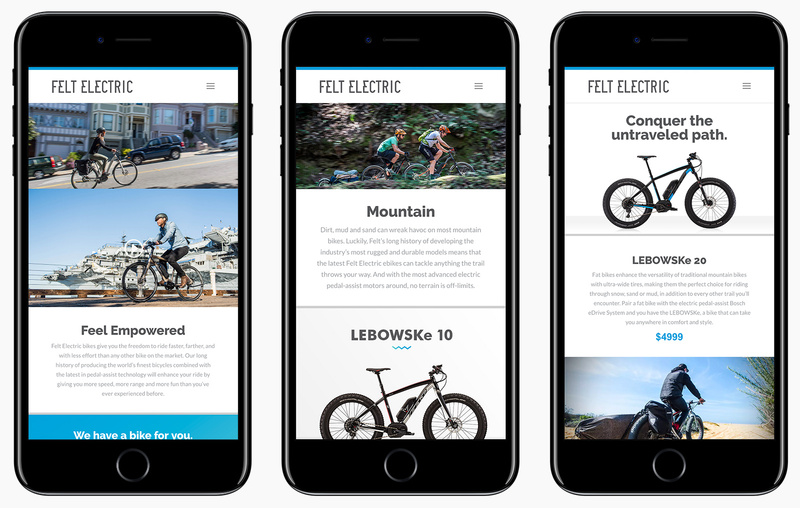 The end result is an authentic connection between the product and the consumer.